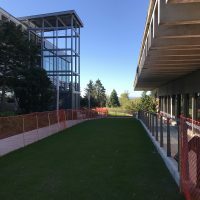 For students and staff at the Sylvania Campus, the fresh grass on the new lane that winds gracefully between College Center and the Health Technology Building is a welcome sight amid all the campus’ hard scape. But there’s more to this seemingly simple improvement than just lawn. 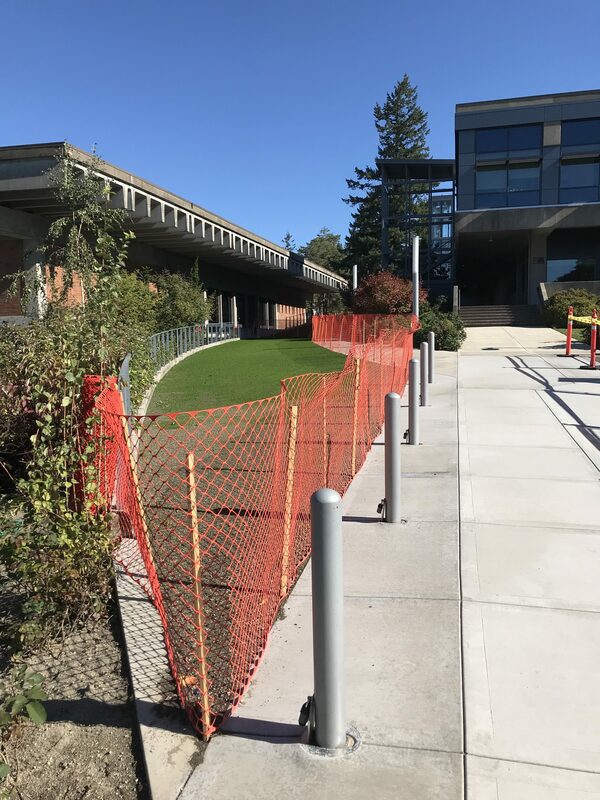 A new Plaza Access Lane was recently built between Sylvania’s College Center and Health Technology buildings to provide ADA access as well as emergency and construction vehicles to the west side of campus via the G Street ring road. 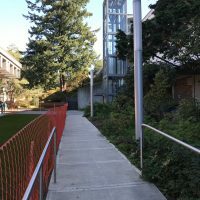 This latest project, funded by the 2008 voter-approved bond measure, is an important feature that finally provides ADA access to the G Street ring road on the west side of campus. The 235-foot-long Plaza Access Lane (PAL) was also constructed to allow vehicle access for security, EMS, FMS and general contractors. Project manager Gary Sutton explained that initially the lane was built to allow construction crews to work on a variety of projects, including setting up HVAC units on the roof of CC and bringing in a small crane to the erect the North Elevator. 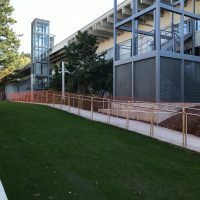 “The money we saved by providing this access for construction activities allowed us the opportunity to make PAL a permanent feature for the campus,” he said. 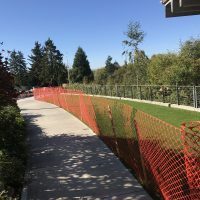 In addition to ADA and vehicle access, PAL has another benefit: The 3,660 square feet of what looks like sod is actually made up of special grass pavers that mitigate storm water runoff. The lane’s grass is watered with automatic sprinklers and has locking pipe bollards at the west entrance to mitigate unnecessary traffic. The news feed has been flooded lately with stories about improving accessibility and recognizing disability. The truth is that the whole thing is complete BS. My former supervisor at PCC spent months threatening me with disciplinary action for having a disability, even though she conceded that my disability had no effect on my work. I reported her to HR/Maria Mendez and they did nothing. My former supervisor still works for PCC and was recently given an award. It is nice and smooth and is fun to ride my skateboard down!